Is There a Link Between Varicose Veins and Restless Leg Syndrome? Many people who suffer from restless leg syndrome (RLS) also suffer from varicose veins. But are the two conditions related somehow, and if varicose veins are treated, will RLS symptoms subside as well? If you find yourself asking these questions, rest assured you’re not alone. Here’s some information about each condition and what research has revealed in terms of a connection between the two. RLS is a nervous system disorder that produces uncomfortable sensations in the legs. The body responds with an irresistible urge to move the legs in an effort to alleviate these symptoms. These sensations vary from person to person in terms of severity and how they actually feel. Symptoms can range from mild itching to intolerable pins and needles, sometimes even feeling as though creepy critters are crawling up and down your legs. It’s common for symptoms to be at their worst when sitting, lying or lounging in some other resting state. Individuals with particularly severe cases of RLS can also find it difficult to fall or stay asleep at night, resulting in an even further diminished quality of life due to ongoing sleep deprivation. Genetics is believed to be a major determining factor in whether one suffers from RLS, but more often than not, doctors are unable to pinpoint an exact cause. Additional factors that have been correlated with the development or worsening of RLS include certain chronic diseases (Parkinson’s disease, iron deficiency, and diabetes), some medications (antidepressants, antipsychotics, and antinausea drugs) and pregnancy (especially during the third trimester). When veins become twisted and enlarged to the point they are visibly bulging under the skin (usually in the legs), they are referred to as varicose veins. Many people mistakenly believe they are strictly a cosmetic concern, but varicose veins are actually medical issues in that they indicate a person suffers from venous insufficiency, or restricted blood flow. If left untreated, the issue can not only continue to grow more unsightly in appearance but can also cause blood clots and other potentially serious health problems. Though the exact connection between these two conditions remains unknown, studies have found that treating varicose veins generally improves RLS symptoms as well. This gives patients who suffer from both RLS and varicose veins a single potential solution to substantially improve the symptoms of each condition all in one shot. 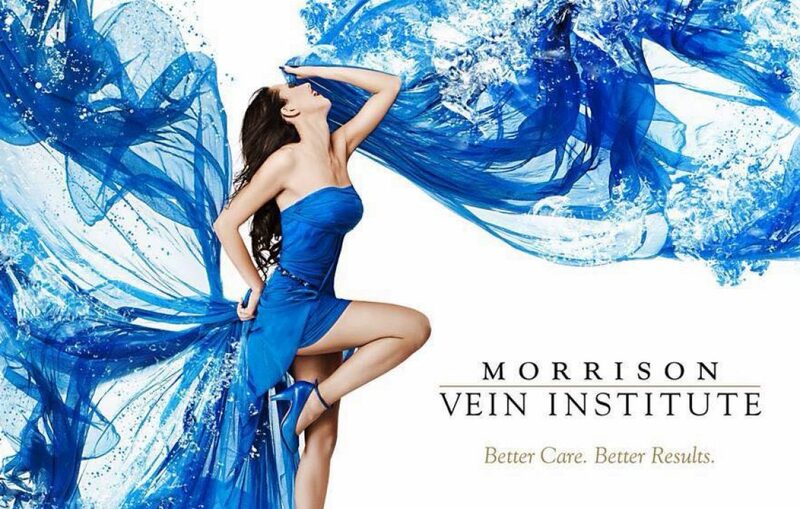 If restless leg syndrome and varicose veins are causing you discomfort and diminishing your quality of life, Dr. Morrison and the team of experienced vein specialists at Morrison Vein Institute are here to help. We offer a variety of the latest, most advanced non-invasive treatments for spider and varicose veins, and we’d be honored to help you regain your comfort, confidence, ability to sleep and overall quality of life. To schedule an appointment or speak with one of our knowledgeable vein specialists about which treatment option is right for you, contact us online or call 480.775.8460 today. Previous Why Do We Insist On Compression Socks or Stockings Post Vein Care? Next Which is Better? Ambulatory Phlebectomy or Sclerotherapy?